Finding a great double bass stool can sometimes be a challenge. You never know what chair will feel most comfortable or will be the right height for a bass player. 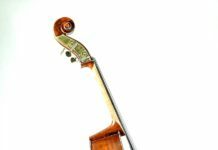 We hope to solve this problem by reviewing some of the best double bass stools. Height: Having a bass stool at the right height is critical to relieving fatigue. We took stool height into consideration when developing our list of the best bass stools. Most of the stools we evaluated featured adjustable heights. 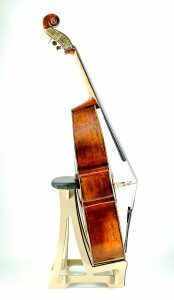 Comfort: Another major factor in reducing fatigue is the level of cushioning used on the bass stool. We only evaluated bass stools that had sufficient padding. 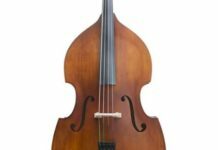 Price: Everything else double bass related is really expensive, so we wanted to make sure that the bass stools we recommend are affordable. Our favorite bass stool is this Vestil. 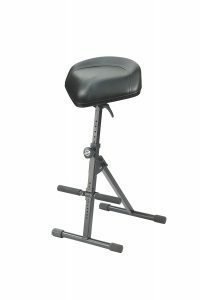 Traditionally recommended for workers, it works great as a double bass stool. 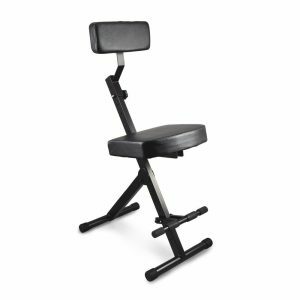 It is extremely durable and very adjustable, able to go from 18 inches high to 33 inches high. It can hold up to 300lbs. 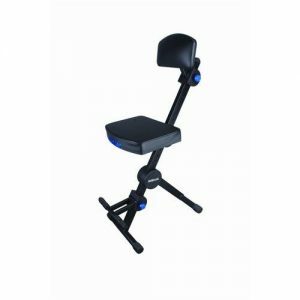 The stool has four rubber shock absorbers under the seat that allow it to adjust to any movement by the person sitting. Perfect for getting up to turn the page during rehearsal. The stool also is very portable. 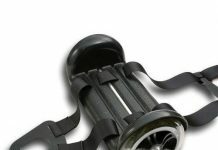 It can be folded to a depth of 4 inches and only weighs 20 lbs. This bass stool was designed specifically for bass players by a professional bass player. It is not a multi-purpose stool and is meant only for the double bass. 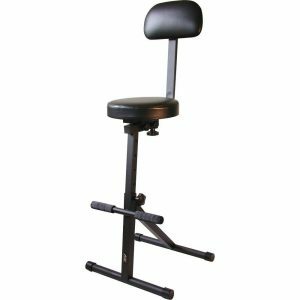 The stool serves as both a stool for the bass player as well as stand for the double bass when not in use. The main downside to this bass stool is that it isn’t very portable. Unlike the other stools on this list, this stool does not fold nor is the height adjustable. We love it because of its intended design, but keep these flaws in mind when deciding which stool to buy. 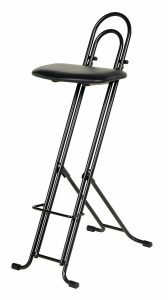 The Quik Lok DX749 is another well-built adjustable double bass stool. As the name would suggest, this stool quickly folds into a compact form factor that is only 27 lbs.